Summary: What is contributing to the rapid expansion of ACOs? What programs are currently being piloted? What are the initial results of current ACOs? An ACO is a group of healthcare providers who work together and accept accountability for reducing costs and increasing quality of care. Participants in ACOs may include physicians, specialists and hospitals and must include primary care physicians, as they are the pillar of both Medical Homes and ACOs. The basic premise is the organizations jointly form an ACO, are held accountable for quality and cost savings, and in return share in the savings. In order to enjoy the cost savings, ACOs assume additional risk. CMS, the organization that oversees both the Medicare and Medicaid programs, is piloting different ACO models such as: Advanced Payment Incentive, and Pioneer ACO Demonstrations, Medicare Shared Savings ACO program. Additionally, many private companies such as Cigna and Aetna have jumped on the bandwagon. In order to establish an ACO, 5,000 Medicare beneficiaries must be served over at least a three year period. As of 2014, approximately 14% of the US population is currently being served by ACOs which equates to more than 4 million. ACOs are a result of the Affordable Care Act (ACA). Lawmakers have been scrutinizing potential solutions to reducing the national deficit, which is currently in the trillions. 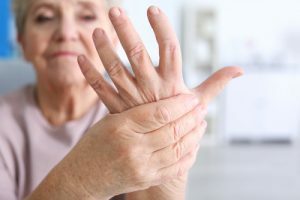 With the aging population and the addition of Medicare beneficiaries, Medicare became a likely target. ACOs are have the potential to reduce spending while increasing quality, 2 of the pillars of the ACA. Coordinated care has been proven to reduce healthcare spending by reducing or eliminating unnecessary tests and duplication of tests. The ACA is striving to transform healthcare from a fee-for-service model to one based upon quality and value. The goal is to reward for keeping Americans healthy. 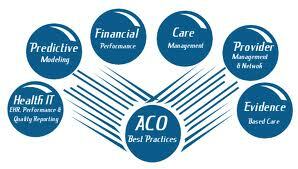 ACOs began being created at the end of 2010. As of the end of 2013, we are beginning to see the first results and expect 2014 to provide even more measurable outcomes. For the most part, ACOs are encouraged and producing positive results. Organizations are beginning to experience shared savings through cost savings and quality-outcome efforts. Many organizations are on the fence as to whether or not to form an ACO. If positive results continue, more organizations will opt for ACO creation. If results are neutral or negative, those on the fence will most likely opt not to form an ACO. Additionally, current ACOs may opt out. It is a tentative time, yet very exciting for healthcare. It is worth noting that organizations contemplating ACOs are looking at like organizations and not the general ACO arena. Large hospital systems are looking at large hospital ACOs. Smaller physician practices are looking at smaller physician practice ACOs. It is still too early to determine the long-term benefits of ACOs and their influence on reducing costs and increasing quality. What Factors are Contributing to ACO Success? Political Changes – Draft legislation is currently being considered to replace the Sustainable Growth Rate and add a 5% Medicare payment increase as a reward to providers who are willing to take on additional risk. Medicaid Expansion – There seems to be a positive correlation in the level of ACO activity with those states that have chosen to expand Medicaid. 2 such states are Colorado and Oregon. Individual Preference – Individuals still have the option to choose a provider that is inside or outside of an ACO. ACO preliminary numbers are showing that the premiums can be less than some other options. For this reason, individuals may choose ACOs as part of the health insurance marketplace. 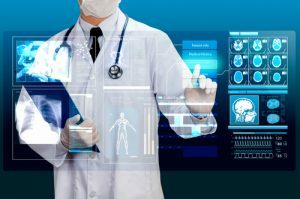 Technology – the widespread use of health information technology such as EHRs makes the coordination of care much easier. Providers are able to easily share information with each other as well as with the patient. Additionally, with EHRs, different providers and clinicians are able to view information differently from viewing an individual patient to viewing a patient population in the search for trends. ACOs are expanding rapidly. The early results are showing positive feedback in the form of both reduced spending and increased quality outcomes. Physicians and other organizations which are a part of ACOs are beginning to realize the shared savings. Are ACOs a stepping stone to healthcare transformation in the future? Yes, ACOs are a one step closer to a system based on value and quality and a value based payment system.